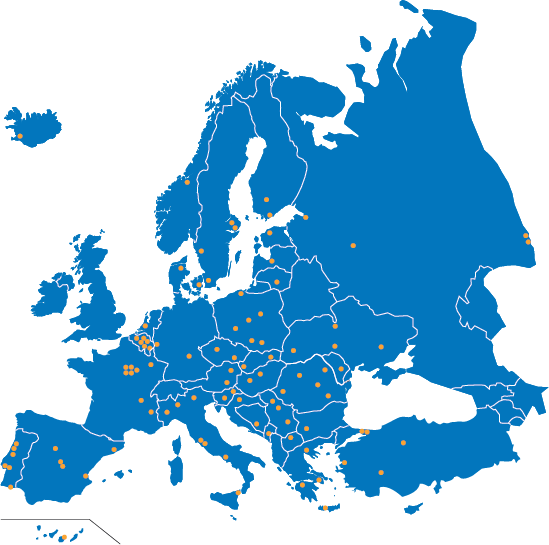 These are the missions of BEST (Board of European Student of Technology). This organization keeps on growing and is now made of more than 3300 active members in 32 countries, with 95 local groups (i.e. universities hosting BEST groups). Created in 1989, BEST is a non-profit and non-governmental organization that allows students from all Europe to meet and work together on diverse projects. Student members of BEST have a wide range of visibility towards students of all Europe, about 1.7 million students have the possibility to participate to more than a hundred of BEST academic and non-academic events each year throughout Europe. These events aim to develop cultural exchange and promote the international part of student life, as well as provide a reflection about education in Europe. BEST creates links between three entities that are universities, students and companies allowing them to meet through different events occurring along the year in Europe. The main objective of BEST is then simple: offering high quality events for students of all Europe to develop their international and academic skills.